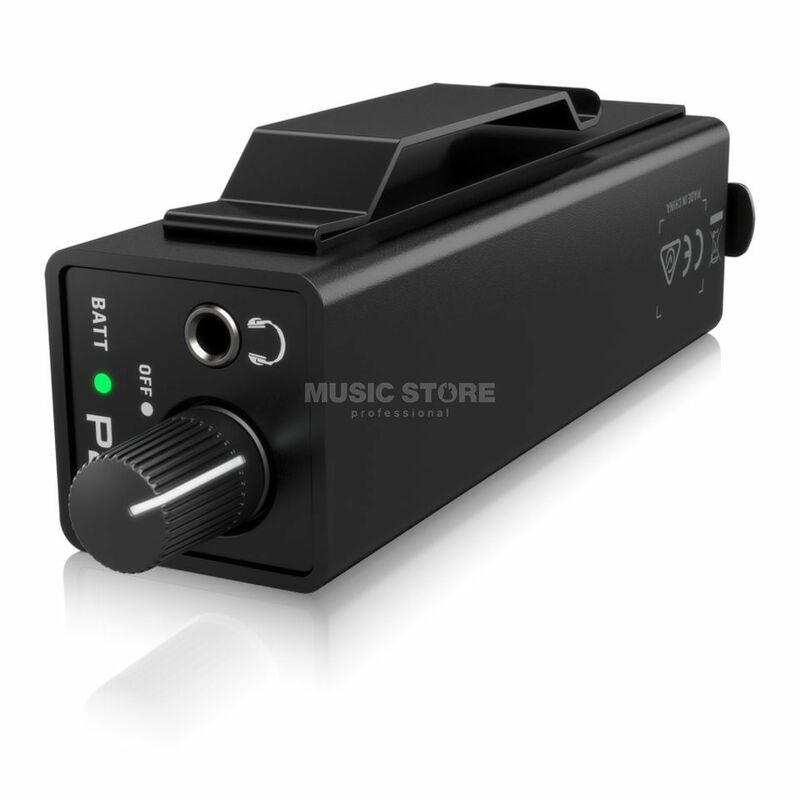 The Behringer Powerplay P2 is an active headphone amplifier with a running time of up to 12 hours. This ingenious audio tool is perfect for drummers who need a loud level on their headphones, on the top of the P2 there is a volume control, 3.5mm headphone output and the battery status indicator. On the bottom of the Behringer P2 is the combination socket input with a lock for the cable, the components in the in-ear bodypack are of very high quality and do not distort the sound.